The Department of Justice (DOJ) announced on December 27, 2012, that a specialty pharmacy, based in San Diego, California, has agreed to pay a $11.4 million settlement. That payment is to resolve allegations that the company used kickbacks to persuade doctors to write prescription for its products. The allegations came from a whistleblower lawsuit filed by a former employee. Expensive Kickbacks Used on Doctors. An article in Modern Healthcare states that the specialty pharmacy allegedly used tickets to sporting events, concerts, plays, spa outings, golf games and ski trips to bribe doctors to write prescriptions for its products. The company also had representatives schedule paid “preceptorships,” where the reps would follow doctors in their offices in an attempt to increase prescriptions written for their products. The specialty pharmacy company agreed to a forfeiture of $1.4 million to resolve the anti-kickback statue allegations. It will also pay $9.9 million to resolve false claims allegations, according to the DOJ. Representatives with the DOJ said that by entering the deferred prosecution agreement the company was able to avoid criminal and civil liability for the kickback and false claims violations. According to the DOJ, the settlement resolves a False Claims Act lawsuit that was filed by a former sales representative for the specialty pharmacy. As part of the resolution, that whistleblower will receive $1.7 million. Whistleblowers stand to gain substantial amounts, sometimes as much as thirty percent (30%), of the amount the government recovers under the False Claims Act (31 U.S.C. Sect. 3730). Such awards encourage employees and contractors to come forward and report fraud. You can learn more on the False Claims Act on the DOJ website. Attorneys with The Health Law Firm also represent health care professionals and health facilities in qui tam or whistleblower cases. We have developed relationships with recognized experts in health care accounting, health care financing, utilization review, medical review, filling, coding, and other services that assist us in such matters. What do you think of the settlement agreement? As a health professional are you tempted with kickbacks? Please leave any thoughtful comments below. Florida pharmacies have had their potential liability significantly expanded by the Fifth District Court of Appeal. In its recent decision, Oleckna v. Daytona Discount Pharmacy, the appellate court held that a pharmacy owes a duty to its patients that go beyond following the prescribing physician’s directions and properly dispensing the medication. The court defined the pharmacy’s duty to use due care in filling a prescription to mean more than what it called “robotic compliance” with the instructions of the prescribing physician. From the court’s decision and some others from around the state it would seem that Florida pharmacists are now under an obligation to question the quantity, frequency, dosage, combination, and possibly even the purpose of a valid prescription. Florida pharmacies are no longer simply a conduit for validly prescribed prescription medications. They are now an integral part of the health care system where trained professionals are expected to act as a check and balance on physicians and other prescribers. This decision is in keeping with recent Florida Board of Pharmacy cases dealing with narcotic pain medications. The Board has interpreted Section 465.003(6), Florida Statutes, and Rule 64B16-27.820, Florida Administrative Code, to place a duty on a pharmacist to use his or her skill and experience to evaluate the propriety of every prescription presented on a global level. While courts and the Board are more than willing to expand the scope of a pharmacist’s duty to his or her patients, unfortunately, neither have provided any prospective guidance on how to fulfill the duty. Below are some suggestions for ensuring your pharmacy is fulfilling its obligation to its patients. This list is by no means exhaustive and is only intended to offer some basic guidance. 10. Most importantly, don’t be afraid to refuse a fill. In addition to these steps, you should also be conducting regular staff meetings and routine reviews of your processes to ensure that they remain functional and able to be followed. Do you think a pharmacy or pharmacist should be held liable for filling valid prescriptions? How do you verify you or your employees are in compliance? Please leave any thoughtful comments below. The Health Law Firm represents pharmacists and pharmacies in DEA, DOH and FDA investigations, regulatory matters, licensing issues, litigation, administrative hearings, inspections and audits. The firm’s attorneys include those who are board certified by The Florida Bar in Health Law as well as licensed health professionals who are also attorneys. 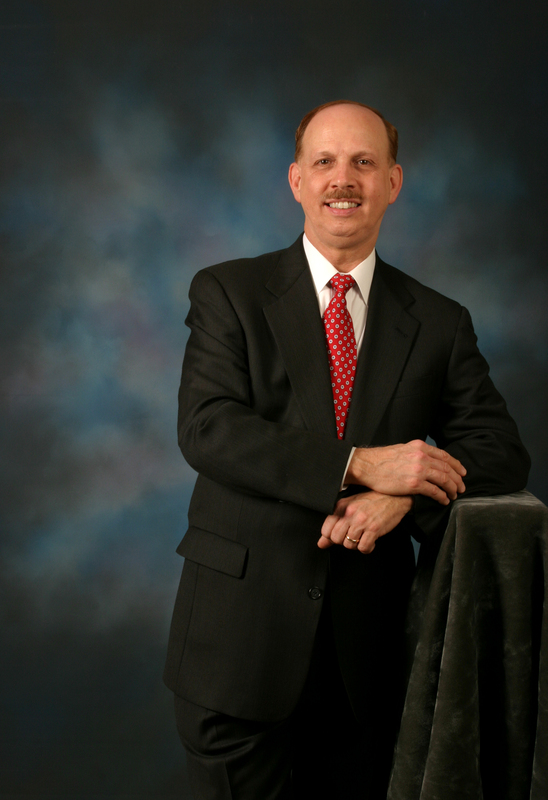 About the Author: Lance O. Leider is an attorney with The Health Law Firm, which has a national practice. Its main office is in the Orlando, Florida area. www.TheHealthLawFirm.com The Health Law Firm, 1101 Douglas Ave., Altamonte Springs, Florida 32714, Phone: (407) 331-6620. The Drug Enforcement Administration (DEA) served an Order to Show Cause (OSC) on a Fort Myers Walgreens pharmacy on February 21, 2013. According to the DEA, the OSC was served as a notice to provide Walgreens with an opportunity to show cause as to why their DEA registration should not be revoked. The Fort Myers pharmacy is one of six Walgreens pharmacies to be targeted for prescribing practices by the DEA. According to the DEA, these investigations are part of an effort to curb Florida’s prescription drug epidemic. Six Walgreens Pharmacies and One Distribution Center Targeted by DEA. In April 2012, the DEA served and Administrative Inspection Warrant (AIW) on the Fort Myers Walgreens pharmacy, as well as five other Walgreens pharmacies in Florida and its distribution center in Jupiter. According to the DEA, the AIWs were served to determine if the pharmacies were dispensing prescriptions for legitimate medical purposes. Based on the DEA’s findings, the Walgreens distribution center was served with an immediate suspension order (ISO). Click here to read our previous blog on the ISO served on the distribution center. Between November 2012 and February 2013, the DEA has served OSCs on six Florida Walgreens pharmacies. According to an article in Naples News, no action has been taken against the stores’ licenses, so they are still able to fill prescriptions pain medications and controlled substances. An administrative hearing will be held in April 2013. The hearing is an opportunity for Walgreens to present their cases. To read the entire Naples News article, click here. Two CVS Stores in Sanford, Florida Lost Controlled Substance Licenses. In September 2012, the DEA revoked the controlled substance licenses from two CVS pharmacies in Sanford, Florida. The two stores are accused of dispensing an inappropriate number of prescriptions for oxycodone and had a suspicious number of sales of other controlled substances. There is a blog on this story on our website, click here to read it. What do you think of these investigations on big pharmacies? Please leave any thoughtful comments below. Despite mailing out hundreds of thousands of postcards and letters to pharmacists, throughout Florida, we continue to receive calls from new clients and from potential clients, after they have already spoken to and made critical harmful admissions against their own interests to investigators. In Florida, you do not have any duty to cooperate with any investigator who is investigating you. This extends to Department of Health (DOH) investigators (who are sometimes titled “Medical Quality Assurance Investigators” or “Medical Malpractice Investigators”), Drug Enforcement Administration (DEA) special agents, police officers, sheriff’s deputies, or criminal investigators of any type. The Investigator is NOT Your Friend. However, in cases where you might have your pharmacy license revoked or have your DEA number revoked, the investigator is not required to advise you of your rights. In a criminal case, there may be ways to have your statement thrown out. However, in a professional licensing case or other administrative case, it may be too late to avoid the damage. You may be the best witness the government has, and you may be the only witness the government needs to prove this case against you. Many pharmacists, when confronted by an investigator, who will usually call at a very inconvenient time (to catch you by surprise) and will usually flash a badge (to intimidate you), will refuse to acknowledge the seriousness of the matter and will fall for the bait to “tell their side of the story.” This can be fatal to your defense and fatal to your license. Do NOT Help the Investigators; Do NOT Admit to Anything. In the absence of a statement by the suspect (in this case, let’s assume this is YOU), the government may have a very difficult time of proving that you have committed any offense. It may have other witnesses (who may not be around at the time of any hearing or trial). It may have a lot of physical evidence or documents. But it may be impossible for the government investigators to make any link between you and the evidence, unless you help the investigators do this. You would be surprised at how many pharmacists believe that they can just talk their way out of the situation; in reality, they are just giving evidence that is used to make the case against them. Any evidence at all, just admitting that you were there, admitting that the documents are yours, admitting that the patient was yours, admitting that you worked at the pharmacy, admitting that filled the prescription, admitting that the property is yours, admitting that you were on duty at the time, admitting that you have taken a drug, admitting that you signed the form, can be a crucial piece of evidence that could not otherwise be proven without your own testimony. Do Not Try to Talk Your Way Out of the Investigation; Do NOT Lie. Consult a Lawyer Before You Do or Say ANYTHING. Far too often the pharmacist only calls us after he has given a statement. This is usually too late to avoid much of the damage that will have been be caused. Contact Health Law Attorneys Experienced with Investigations of Pharmacists. The attorneys of The Health Law Firm provide legal representation to pharmacists in Department of Health (DOH) investigations, Drug Enforcement Administration (DEA) investigations, FBI investigations and other types of investigations of health professionals and providers. About the Author: Christopher E. Brown, J.D. is an attorney with The Health Law Firm, which has a national practice. Its main office is in the Orlando, Florida, area. www.TheHealthLawFirm.com The Health Law Firm, 1101 Douglas Ave., Altamonte Springs, FL 32714, Phone: (407) 331-6620. The Defendants’ Charged with Felonies. The charges for the defendants ranged from first degree to third degree felonies. The defendants have been charged with acts, such as conspiracy to traffic Oxycodone, solicitation to deliver Oxycodone, and possession of Hydromorphone with intent to sell or deliver. myfloridalegal.com. “DEA: 37 Charged in Longwood Local Impact Drug Trafficking Conspiracy.” AG. (June 20, 2012). From Press Release: http://www.myfloridalegal.com/newsrel.nsf/newsreleases/9E8D06F29BCB233B85257A230072572A. Doctors and Pharmacists Allegedly Paid to Prescribe. Doctors in the Sunshine State Allegedly Involved. Novartis Claims Discounts and Physician Speaker Programs Were Legitimate. Whistleblower or Qui Tam Lawsuits Can Results in a Big Pay Day. The Health Law Firm Lawyers are Experienced with Qui Tam or Whistleblower Cases. Have you head about these two lawsuits? What are your thoughts? Please leave any thoughtful comments below. The U.S. Food and Drug Administration (FDA) sent out a warning to health care professionals that steroid injections compounded by Main Street Family Pharmacy, LLC, in Tennessee, may be contaminated. The announcement came on May 24, 2013. So far, seven patients have allegedly suffered adverse reactions from the medications. The FDA says it is working with the Centers for Disease Control and Prevention (CDC) and the Tennessee Board of Pharmacy to investigate. The steroid injections were allegedly sent to 13 states, including Florida. To read the press release from the FDA, click here. According to an article in the Associated Press, officials have not yet confirmed the products are contaminated. The FDA is treating all sterile products from Main Street Family Pharmacy as if they were contaminated as a precaution. The pharmacy has agreed to recall all of its sterile products. Click here to read the Associated Press article. The injections in question allegedly contain the same drug at the center of the October 2012, deadly fungal meningitis outbreak. More than 55 people, including five in Florida were killed and 740 others were sickened after receiving contaminated injections from a Massachusetts compounding pharmacy. I previously blogged about that outbreak. To read more, click here. Patients in North Carolina and Illinois Allegedly Reacted to Injections. Federal authorities have allegedly identified seven cases of patients who have suffered complications after being injected with the potentially contaminated medications. There are five cases in Illinois and two cases in North Carolina. The Illinois patients supposedly have skin infections and one patient in North Carolina allegedly suffered from a fungal infection. Florida Department of Health Working to Contain Allegedly Tainted Injections Statewide. According to the Florida Department of Health (DOH), at least three Florida facilities received the drugs under investigation. Two of the facilities are in Melbourne, Florida, and one is in Chipley, Florida. The Florida DOH says it is not aware of any local cases of infections from these drugs. To read the press release from the Florida DOH, click here. Previous Florida Case of Contaminated Medication. We have previously blogged about the problems encountered by Franck’s pharmacy in Ocala, Florida. It has been accused of distributing eye medications that contained a fungal infection. Click here for the first blog and here for the second blog on this. Congress Debating on Giving Authority Over Compounding Pharmacies to FDA. Currently, compounding pharmacies are regulated by state pharmacy boards. There is currently legislation moving through Congress that would give the FDA direct authority over the compounding manufacturers. The goal is to prevent any national outbreaks tied to compounded medications. Do you think each state should be responsible for regulating compounding pharmacies, or do you think the FDA should be responsible? Please leave any thoughtful comments below.